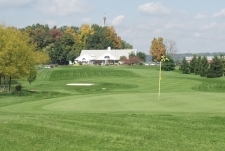 Foxchase Golf Club is a course that "provides a country club facility available to the public golfer." Excellent course conditions, quick rounds, outstanding customer service and one of the best practice facilities in the county. A fully stocked pro shop and large practice area, gives the serious golfer a place to call home. Throw in a bunch of pines, fifty traps, nine dog-legs, and huge quick greens. Come challenge yourself on this beautiful course.